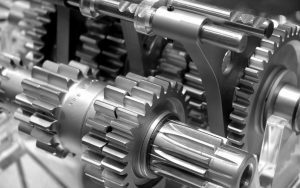 Are you battling spare parts issues in your production? Do your suppliers take their time when shipping items to you? Are you unsure if you are placing orders with the best of suppliers? Our MachineLOG IT is a reliable tool for your spare parts control. Find out more about what it can do. MachineLOG IT increases the efficiency of spare part management. Have you failed to find a system that would keep your inventory of spare parts updated? Would you like to speed up spare part identification and with it the whole ordering process? MachineLOG IT will increase the effectiveness of not only your spare part management, but of the whole production process. It is a reliable spare part inventory management system for both tools and machines. It can speed up the ordering process by linking spare parts to the equipment they are used on. You only need a product’s QR code and the system will automatically offer a spare part defined by the manufacturer. All information in the system is regularly updated and only the latest spare parts approved by the tool or machine manufacturer are offered. Spare parts can only be ordered and replaced by a competent technician. Also, the MLIT system contains a replacement manual for ever part. If you are a supplier, our spare parts database will make you more visible and increase the chances of your spare parts being chosen by the customer. The spare parts in the database are linked not only to the equipment they are used on, but also to supplier companies. If you have found a supplier who is cheaper and faster, you only need to change the relevant information in the system and anyone inquiring spare parts will place orders with that particular company. Thus, your company will have an easy tool at their fingertips to affect the choice of a supplier company – right from the production shop! In this way MachineLOG IT can not only optimize the ordering process, but also significantly reduce the related costs. With MachineLOG IT the process of ordering spare parts is much simpler no matter where the machine or tool is. It is not even necessary for the user of the equipment to be notified of the change of supplier. The technician will simply place an order with the supplier company you have approved with a single click. In addition, an alternative supplier company can be specified who currently has the relevant spare part in stock so that the ordering process can be even faster. The speed & efficiency of the ordering process as well as the quality & costs can make a world of difference for your business. Get in touch with us and find out how MachineLOG IT can help your company.